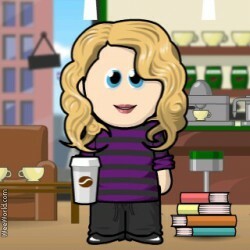 Goodreads refugee (http://www.goodreads.com/user/show/1257768-sarah) exploring BookLikes. I love letters. Maybe it’s an innate snoopiness, maybe it’s that people tend to be more unguarded in their private communications, but I find that reading the letters of interesting characters from literature and history is often much more enlightening (and entertaining) than reading their biographies. 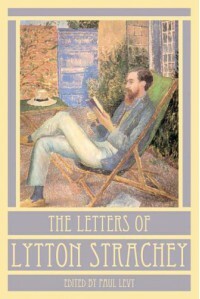 And Lytton Strachey’s are some of the best. Strachey pioneered a new form of biography with Eminent Victorians, with a subtly snarky style that pilloried the era’s sacred cows. These days his work doesn’t stand up quite as well as that of some of his better known friends like Virginia Woolf. Still, Strachey was one of the fathers of Bloomsbury, and when it came to the group’s incestuous relationships, he seemed always to be right in the middle of it. He was a lover of the artist Duncan Grant (who later fathered a child with Vanessa Bell, Virginia Woolf’s sister), and he once proposed to Virginia (she accepted but quickly rescinded, to the relief of both). Economist John Maynard Keynes recorded his liaisons with Lytton in his notorious logbook of past lovers, but Maynard and Lytton also competed for Grant’s affections. It goes on. Suffice it to say that all of this interpersonal drama makes for some revealing letters, especially since Lytton and his friends wrote well, openly, and frequently. Lytton addressed current issues of the day, such as his legal proceedings as a conscientious objector in World War I, with characteristic self-absorption. Few of his friends and acquaintances escaped his snide observations - Aldous Huxley (“produced a very long and quite pointless poem for me to read”), Robert Graves (“curiously oafish sense of humor”), John Maynard Keynes (“sits like a decayed and amorous spider . . . weaving purely imaginary webs, noticing everything that happens and doesn’t happen and writing to me by every other post”), T.S. Eliot (“rather American”). There are poignant moments too, especially in the letters involving his relationship with his last lover, Roger Senhouse, and his tragic relationship with Dora Carrington, who committed suicide after Lytton’s death.